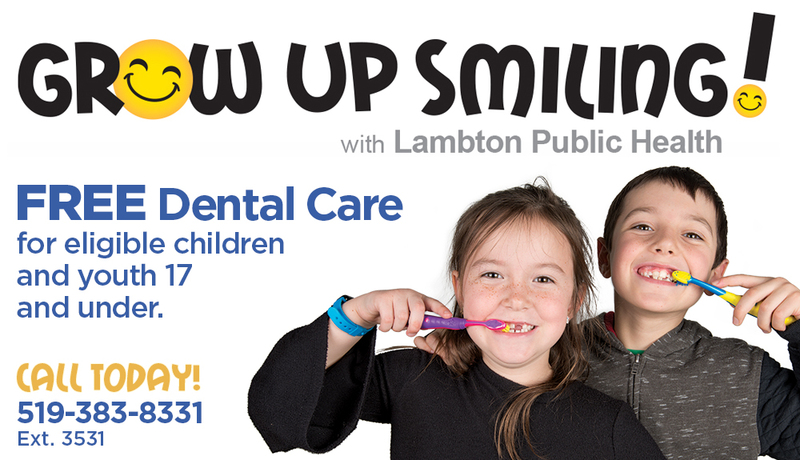 Lambton Public Health is promoting the Lambton Smiles Campaign to support children with access to good oral health care. We are available to help you find the best options for treatment now and to get regular check-ups during the year. There is GOOD reason to SMILE in Lambton County!